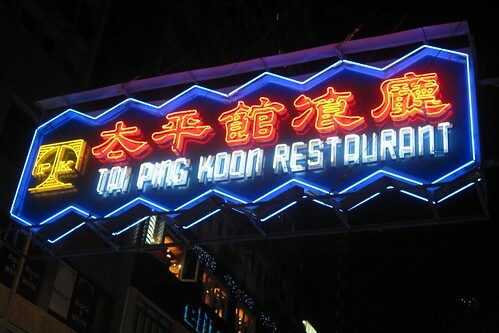 On recommendation from my HK-nese friend Elaine, and multiple affirmations that I should definitely check out the very famous Tai Ping Koon, Shontay and I ventured out to have our first taste of pigeon. 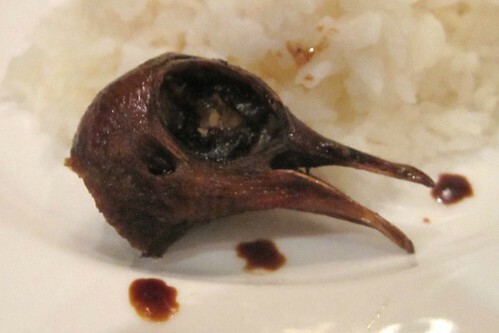 My assumption was that pigeon would taste kind of like chicken. Maybe even more like a quail. Probably not too meaty, since theyre small. 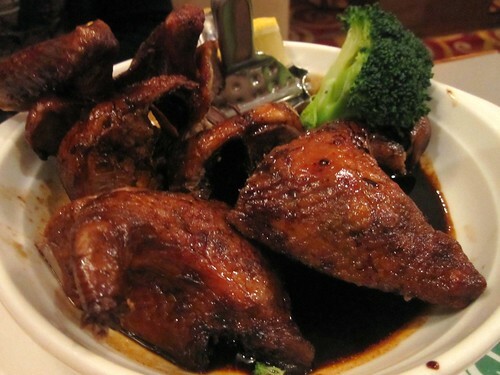 The swiss sauce used was essentially soy sauce, with some added sweetness, and thicker stickier texture like a glaze. The skin was seared and crispy, very delicious. Smelled amazing. But it tasted like liver. My dad would have loved it, and I can understand if you did like liver that pigeon would be just up your alley. But I like my liver as a pate, served with pickled onions to balance the flavor. NO amount of swiss sauce could mask up the taste of liver here. So....I....politely...spitted it out into a napkin...!!!! I know, I cant believe I did that! I am officially one of those people who go 'eeeewwww' when you mention pigeon. Shontay was amazed. We've spent many company trips eating all types of food--rabbit, sweetbreads, foie gras--and this was my first time not finishing a meal. But I am proud to have crossed that off my list of 'things to eat'. And I loved that they served the severed head too. Pigeon? Never again-- but fun experience!